Your builder will catapult into action with LEGO® Angry Birds™ Movie play sets! They can build, play and explore Bird Island and Piggy Island! 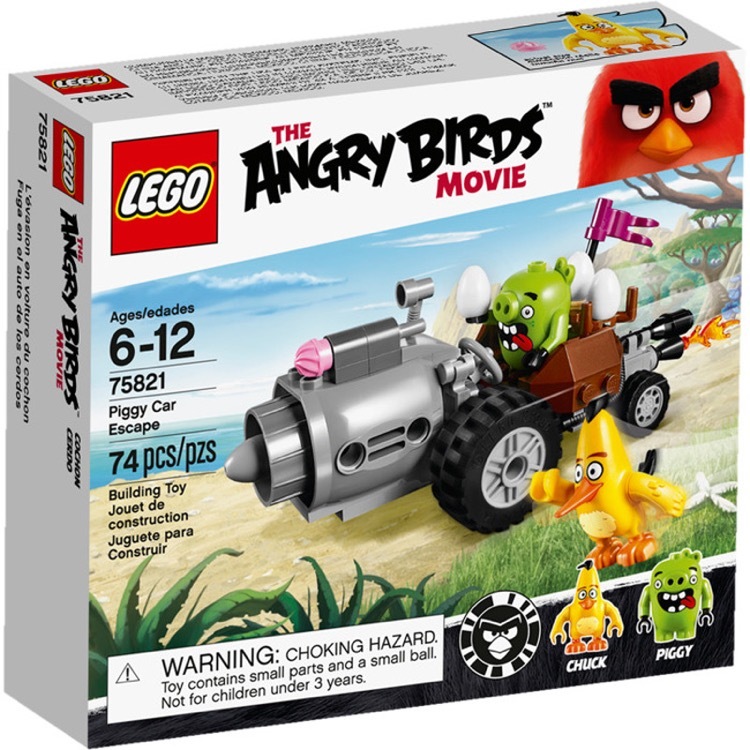 This is a BRAND NEW set of LEGO® Angry Birds™ 75821 Piggy Car Escape from 2016. This set is still factory sealed and the box is in very good condition with minor shelf wear. 74 pieces and 2 minifigures©. 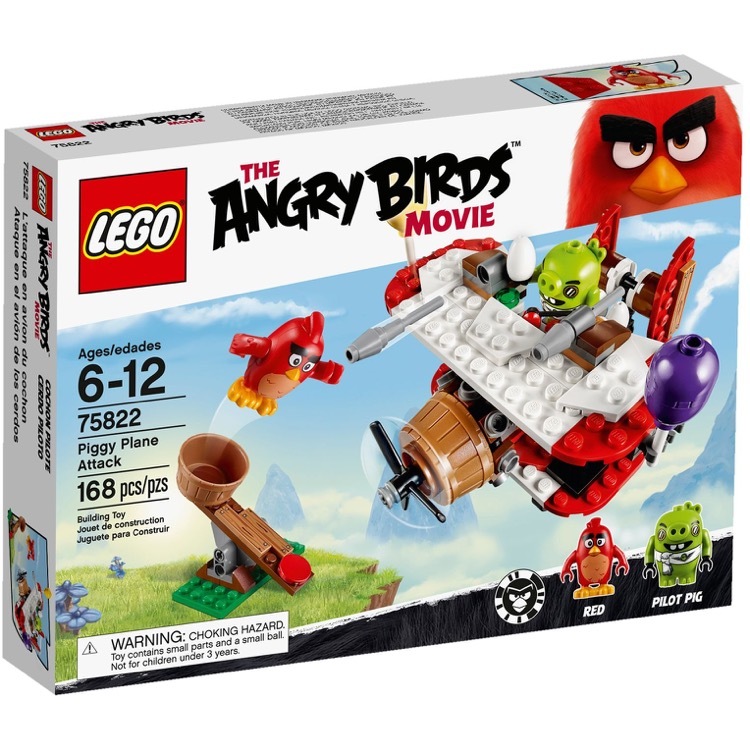 This is a BRAND NEW set of LEGO® Angry Birds™ 75822 Piggy Plane Attack from 2016. This set is still factory sealed and the box is in very good condition with minor shelf wear. 168 pieces and 2 minifigures©. 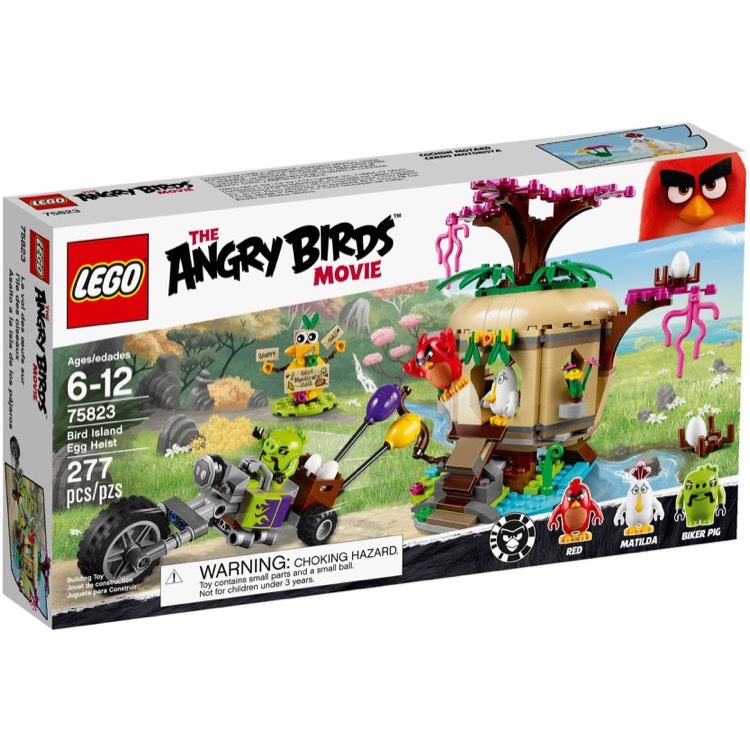 This is a BRAND NEW set of LEGO® Angry Birds™ 75823 Bird Island Egg Heist from 2016. This set is still factory sealed and the box is in very good condition with minor shelf wear. 277 pieces and 3 minifigures©. 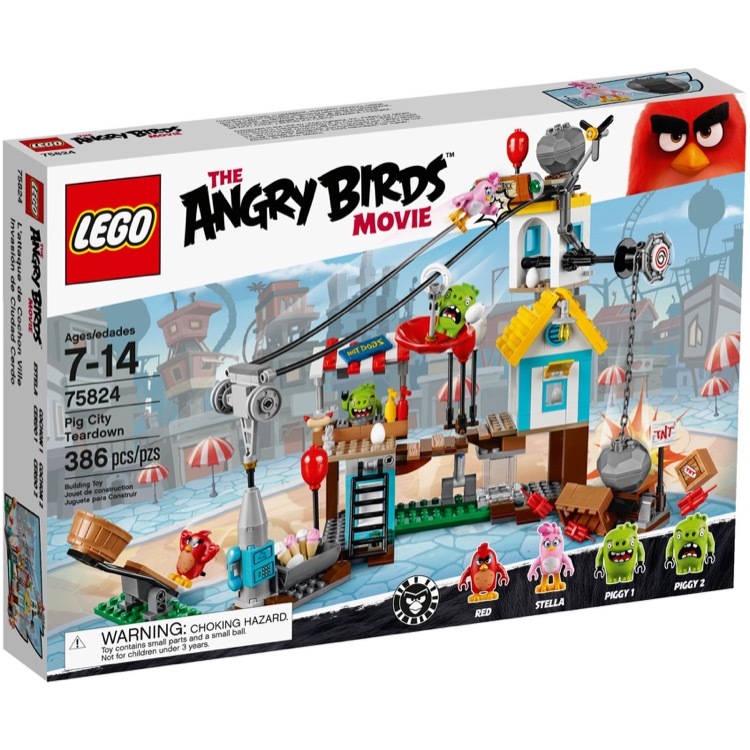 This is a BRAND NEW set of LEGO® Angry Birds™ 75824 Pig City Teardown from 2016. This set is still factory sealed and the box is in very good condition with minor shelf wear. 386 pieces and 4 minifigures©. 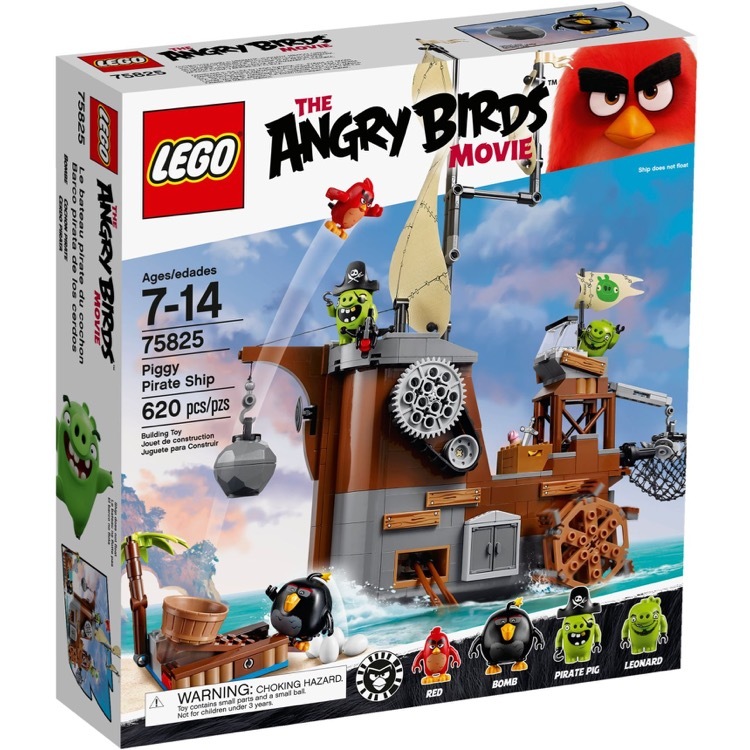 This is a BRAND NEW set of LEGO® Angry Birds™ 75825 Piggy Pirate Ship from 2016. This set is still factory sealed and the box is in very good condition with minor shelf wear. 620 pieces and 4 minifigures©. 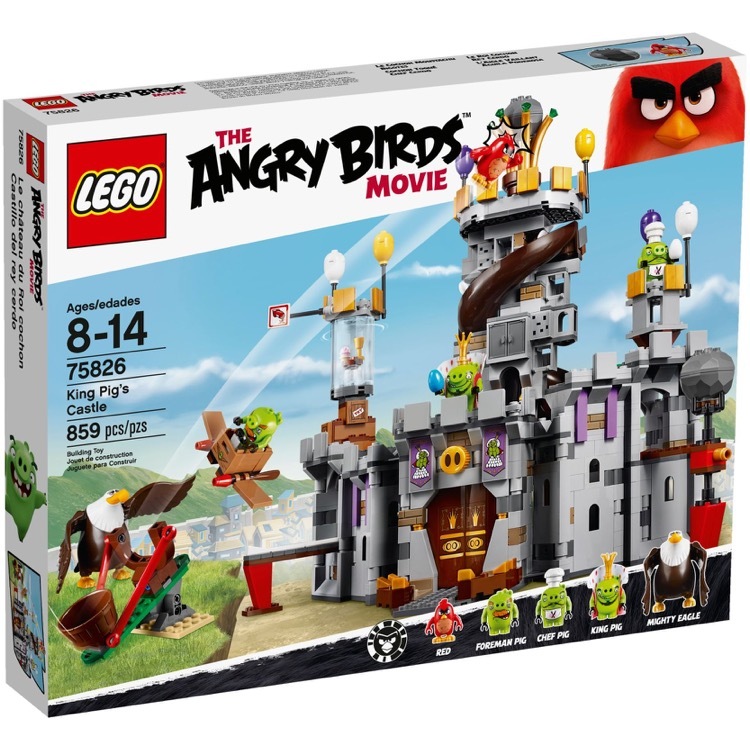 This is a BRAND NEW set of LEGO® Angry Birds™ 75826 King Pig's Castle from 2016. This set is still factory sealed and the box is in very good condition with minor shelf wear. 859 pieces and 5 minifigures©.